In the past 15 years, we have been watching big banks and credit unions encourage people to take on Home Equity Lines of Credit (HELOCs) along with their standard first mortgages. 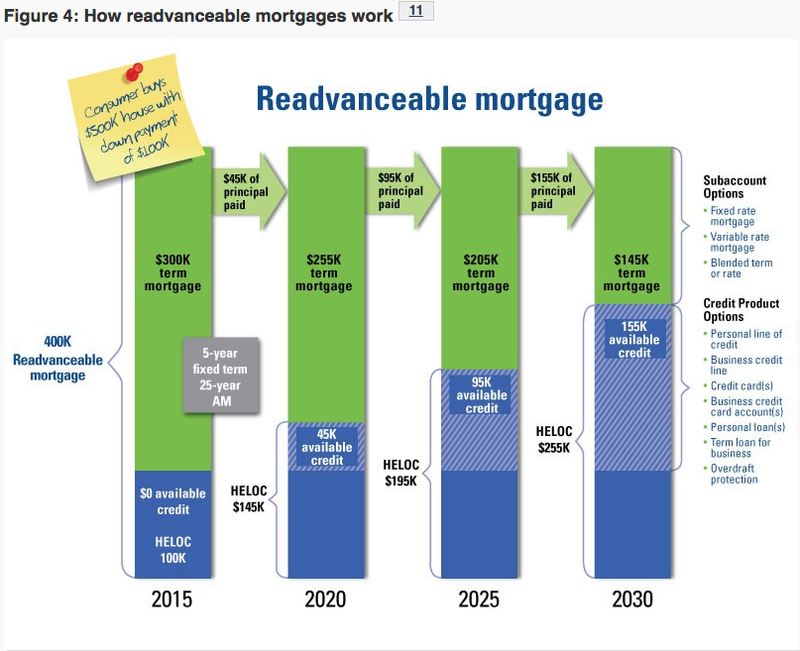 To make it easier for the layman to understand, we can call this type of mortgage a “readvanceable” mortgage. This has contributed heavily to the record levels of household debt the Bank of Canada and economists have been warning us about for years. While these HELOCs can be useful for certain clients, more often than not they perpetuate an illusion of wealth while effectively increasing our family debt. Many people use the less expensive HELOCs to manage debt they are not able to pay off monthly on their credit cards etc. We call this a shell game. 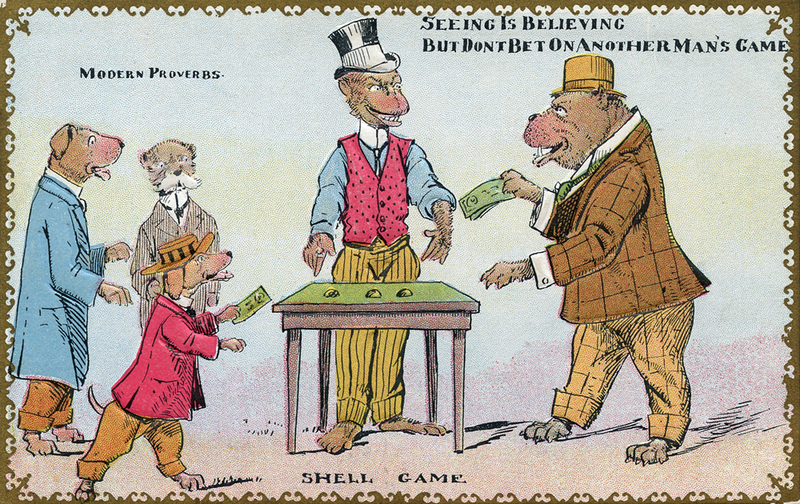 The lenders are supplying the shells for you to play with. The objective of the game is; you spend more money than you can afford then move it to a place where you can forget it and pay interest only, thereby never actually reducing debt. A HELOC is a collateral charge registered against your house. Although you may initially receive a rate of prime plus 1 percent (around 4.45% today), the lender is actually registering on the title of your property rates as high as prime plus 7% to 18%. This allows banks to increase your interest rate without warning and as they see fit. Although it is unlikely major banks would raise the rates on HELOCs drastically, it’s not outside the realm of possibility. In 2016, TD Canada Trust opted to increase its prime rate by 0.15% independent of the Bank of Canada, or any of the other Big 5 increasing their prime rates. Most lenders have already increased rates on personal (unsecured) lines of credit as high as 5% over prime in the past year. Our concern is the Big 5 may take similar action with their HELOCs. 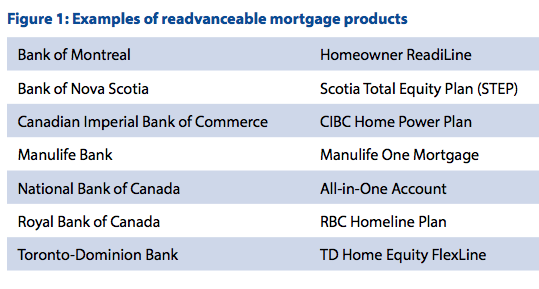 Banks have created this massive debt market using collateral charge mortgages with “readvancable” mortgage products, encouraging the borrowers to increase rather than decrease household debt. Read this Public Research Report: Home Equity Lines of Credit: Market Trends and Consumer Issues. The above ideas are outlined perfectly in this chart provided by Stats Canada. You will notice, your mortgage is getting smaller and the much more expensive line of credit is getting larger. We are 10 years away from the start of the last recession and the next recession is due in one to two years, barring any economic shock. In the US, unsecured car loans and student loans are at about 50% of the debt involved in the mortgage loan crash of 2008. The rate of default currently is alarming. Be a good friend and pass this along to the multitude of people who have opted for the Home Equity Line of Credit mortgage and let them know maybe it is time to buckle up. Everyone needs good financial advice and no one wants to read the fine print, we take care of both.